Malta is an island in the Mediterranean Sea. It is the largest of the three islands in the archipelago directly south of Italy. Valletta, the capital of Malta, is located on the eastern coast. The beautiful city sits on the strip of land that separates the two surrounding harbours. 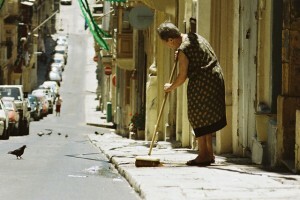 Valletta always bustles with tourists and citizens alike. Tourists from around the world enjoy visiting the city while on holiday in Malta, in part for the lovely, historic architecture. Valletta has some of the best hotels in Malta to meet the needs of tourists and visitors year-round. Budget Valletta hotels start at 50 euros and less per night and often includes the Asti Guesthouse on St. Ursula Street and Osborne Hotel on South Street. It is the perfect plan for summer holidays or new year breaks— a few days in beautiful Malta. With all the travel and accommodation deals available, it needn’t break the bank either. You won’t want your stay to end! Mid-range hotels in Valletta start around 75 euros per night and depending upon the time of year can include the British Hotel on Battery Street. The more expensive, four-or-five-star Valletta hotels include The Phoenicia, Maison La Vallette and Valletta G-House. The four-and-five-star hotels in Valletta offer more facilities than the lower priced hotels. The Phoenicia was refurbished in 1930 and offers modern comforts and great views of the Grand Harbour. Queen Elizabeth II chose The Phoenicia for her most recent trip to Malta. Each room of The Phoenicia is equipped with modern facilities in a rich, historic appeal. The hotel restaurant offers indoor and outdoor dining with elegant place settings. The beautifully landscaped gardens lend an air of peace and relaxation. The terrace where the pool is located overlooks the Grand Harbour and the city’s skyline. Located not far from Malta’s Luqa Airport, valletta is convenient for Malta flights. 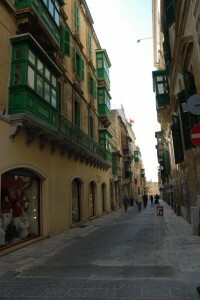 Maison La Vallette is located in the historic part of Valletta dating back to the Knights of Malta. This luxury town house is very simply but stylishly decorated in a mix of Maltese style baroque furniture. A feeling of romance radiates from the bold, sophisticated and luxurious town house. The townhouse offers a very large living area and kitchen with roomy bedrooms and immaculate bathrooms. The surrounding family-owned grocery shops, vegetable vendors and bakeries provide a lush variety of ingredients to prepare your own special meals. There are also many local markets to shop for treasures or trinkets. The Valletta G-House is an adults-only Valletta apartment. The G in the name stands for nothing in particular according to the London-based Maltese owner. The entrance to the apartment doubles as a sitting room with a TV and DVD player equipped with classic movies. A fully equipped rustic kitchen with low ceiling is downstairs. The deluxe bedroom with a sitting area and soft leather armchairs is located on the first floor. The bedroom includes a traditional Maltese enclosed balcony. Fresh flowers and fine linens help this bedroom maintain a feeling of luxuriousness and romance. Both the Maison La Vallette and the Valletta G-House are self catering and generally available only on a weekly basis. 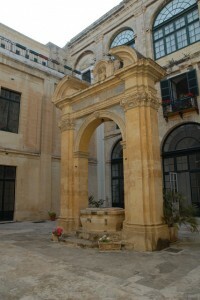 The owners maintain these lovely facilities for tourists who are looking for a more private, personal stay in Valletta. The delicate care the owners give only adds to the personal touch and atmosphere. These locations are the perfect place for couples to get away for a honeymoon or just a week away. In addition to these more posh Valletta hotels, apartments and townhouses, a wide range of resorts are available throughout Malta. If you are looking for a busier holiday spot with a wide variety of activities for a family, you may look into the resort areas. Ranging in price from under 76 euros per night to around 250 euros per night, you’re sure to find the perfect resort for your family’s island getaway. Many of Malta’s resorts offer a variety of activities, including swimming, diving, fishing, boating and jet skiing. Landlubbers may enjoy hiking, tennis, sightseeing and golf. But if you do decide to stay in Valletta, the hotels in Valletta are generally of a good standard accommodation, and compare well to Malta hotels elsewhere on the island.